Hermann Höfle served as the chief-of-staff and right hand man to Odilo Globocnik during Operation Reinhard, the killing of at least 1,700,000 Jews in eastern Poland. Born in Salzburg, Austria on June 19, 1911, Höfle joined the Nazi Party on August 1, 1933. He had previously been an auto mechanic and a taxi driver, rising to ownership of a cab company. Prior to the German takeover of Austria, Höfle was convicted of anti-government crimes and spent time in a Salzburg police prison. With his headquarters at the Julius Schreck Barracks in Lublin, SS-Hauptsturmführer Höfle procured Ukrainian guards for the three major extermination camps and instructed SS personnel – to include Action T4 gassing experts from Berlin – in their duties and responsibilities, including administering an oath of secrecy. He coordinated the deportations of Jews from all areas of the General Government and directed them to one of the death camps. Beginning on the morning of July 22, 1942, now SS-Sturmbannführer, Höfle began the deportation of Jews from the Jewish Warsaw Ghetto, an operation that ended with the deaths of several hundred thousand people at Treblinka extermination camp. He also played a key role in the “Harvest Festival” massacre of 42,000 Jewish inmates of the various labor camps in the Lublin district in early November 1943. Months after the end of Operation Reinhard, Hermann Höfle joined Globocnik in Trieste, ostensibly to hunt partisans. After the war, Höfle was in and out of various confinement facilities as numerous proceedings against him were begun but then dropped. He also spent three years living under an alias in Italy. 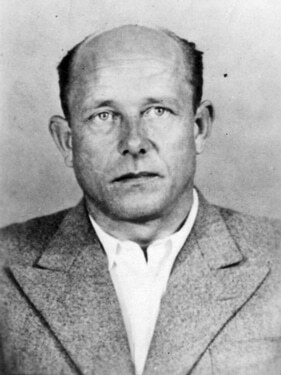 Authorities arrested Hermann Höfle a final time in 1961. He committed suicide in an Austrian prison in Vienna on August 21, 1962, while awaiting trial, by hanging himself.